You might have heard; we recently launched a unique range of delicious craft beers too. 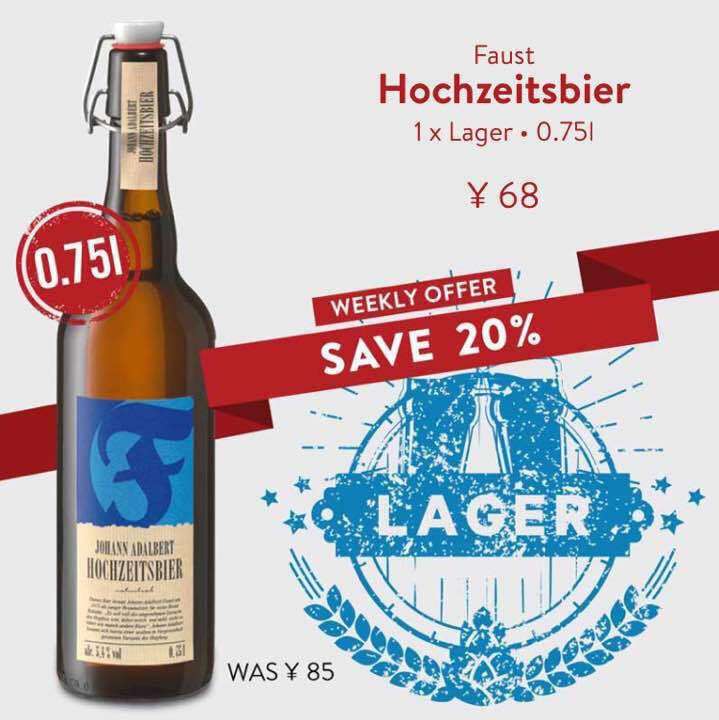 Now, for a limited time, we’re offering Shanghai a taste of our new selection with 20% OFF our extra-large imported “Wedding Beer” from German brewery Faust. Coming in a 750ml bottle (which is VERY satisfying to pop), the Johann Adalbert Hochzeitsbier is a rich, satisfying and utterly unique German lager; any real fan of beer will fall head over heels in love with it. Faust, the brewery that created it, was recently awarded National Craft Brewer of the Year by Meiningers International Craft Beer Awards. It usually sells for RMB 85, but with this discount, you only need to stump up RMB 68. 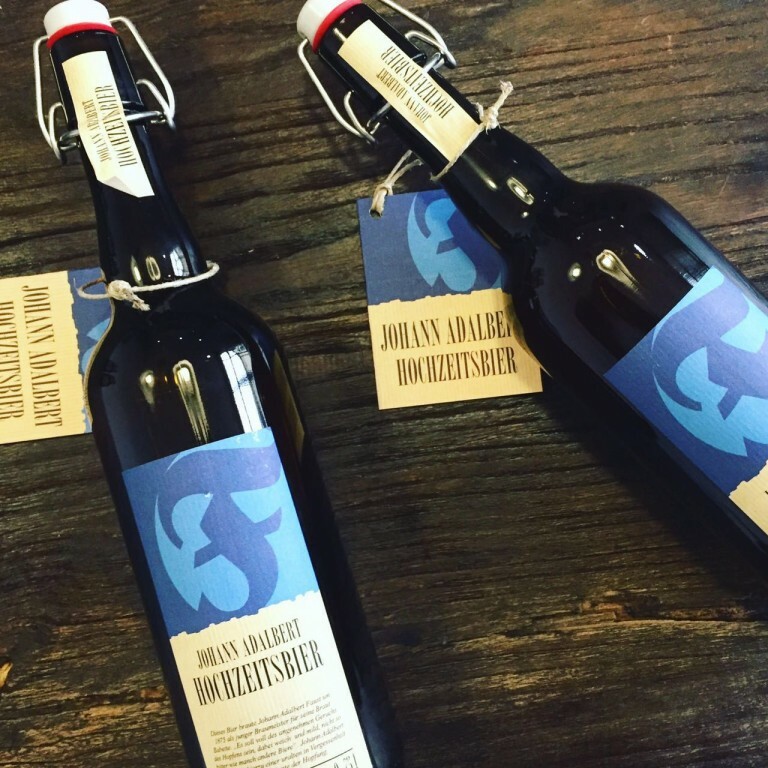 The name of the beer translates as “Johann Adalbert Wedding Beer”, and it’s more than just a name; it’s a love story. Johann Adalbert Faust was a descendent of the current owners of the Faust brewery, who became the brew-master of what was then called Löwenbrauerei. 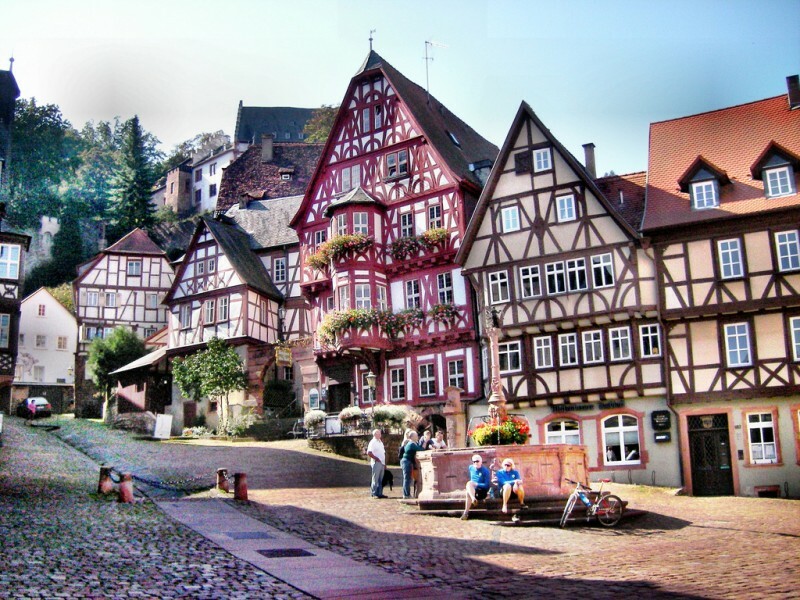 Johann fell in love with a girl in his town of Miltenberg and eventually proposed to her. When he asked her to marry him, she asked him to brew her something delicious. This is the beer that convinced her to say “yes!”. When you try it, we think you’ll say the same thing. The Faust Johann Adalbert Hochzeitsbier is just one of our new selection of exciting imported European craft beers, which includes everything from artisan Italian bottles to more historic German brews and locally made favorites. See our current selection below, and watch out for even more coming very soon! 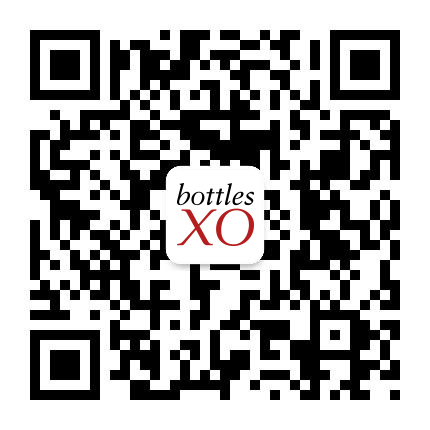 The Johann Adalbert Hochzeitsbier is available for instant delivery on the BottlesXO app NOW for a limited time price of RMB 68.